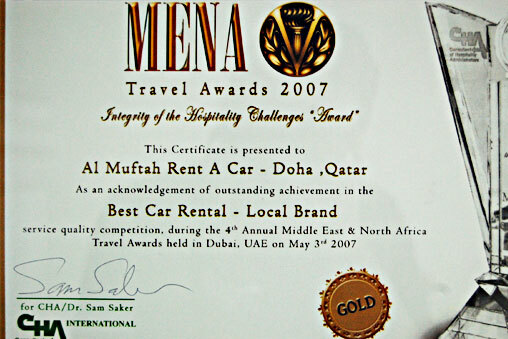 Welcome to Al Muftah: A Car Rental Trendsetter in Qatar! 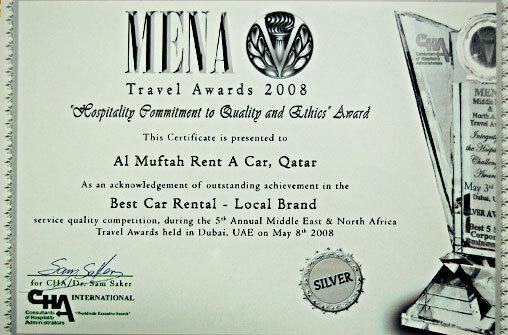 Al Muftah Rent a Car is a trendsetter in Doha, Qatar, offering world class car rental services to people across the region. Being the pioneer in Car Rental industry in Qatar,Al Muftah has made vehiclerenting beyond easy. With a user friendly online booking system, Al Muftah Rent a Car offers convenience for you to reserve your favouriteride in just a few clicks. In short, Al Muftahgreatly spearheads to get you around in comfort and ease. Functional for over 45 years, Al Muftah Rent a Car launched as a full length vehicle rental company in 1971 in Doha, Qatar. Holding the distinction of being the first car rental company in Qatar, it reflectsleadership and determination to grow and improve every day. While featuring and delivering a length of economy and luxury vehicles, we stand second to none when it comes on customer services, experience and convenience. 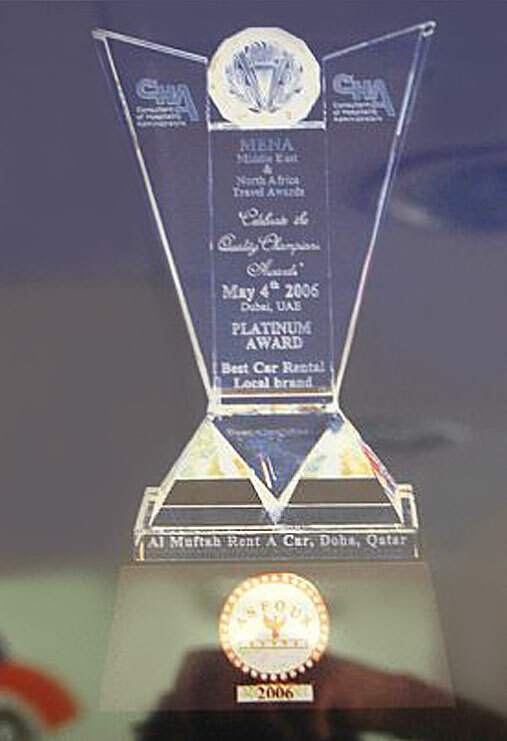 This is why, Al Muftah Rent a Car Doha has been awarded as the ‘Best Local Brand’ in Qatar and across the GCC at the MENA Travel Awards. We put our customers first and take care of the smallest things that most car rental agencies let go! Al Muftah Rent a Car welcomes you toexplore traveling joys by having a ride that you have never experienced before! Offering the industry-leadingrental services has been our forte. Therefore, we work closely to attend your needs by delivering the right value for money with a full length vehicle fleet of supercars, sports and luxury cars with excellent workmanship and best prices. Whether be it a Sedan with chauffeur or a SUV without any driver, from budget car rental Doha airport services to customized Doha car rentals services, we ensure that no customer goes unattended. Also, if you are an agency looking to lease cars in Qatar for your employees or corporate use, let Al Muftah offer best guidance for selecting and hiring the right vehicle. Why Al Muftah Car Rentals? •	24/7 accessible from across the globe. •	Easy to select, pay and book! For more details, browse through our site or call us now for a free, no obligation consultation.